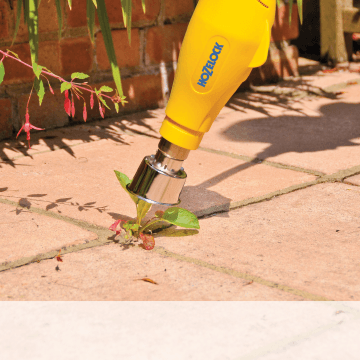 For almost 60 years, Hozelock has specialised in finding and meeting the needs of gardeners. We combine a knowledge and passion for gardening with a pride in craftsmanship to develop a comprehensive range of watering, spraying, plant protection & pond solutions to help gardens to flourish & come to life. 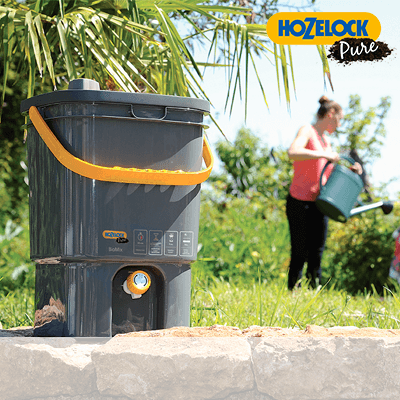 Take a look around our garden, by clicking on the plus icons, to find out more about the fantastic products within the Hozelock range. 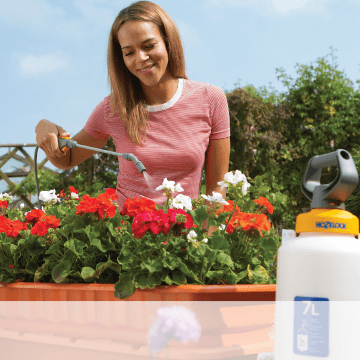 Spray Guns let you water areas of your garden quickly and easily. Different spray patterns can be used for different types of plants. Lances provide extended reach when watering those hard to reach areas. Great for watering hanging baskets but also pots which are low on the ground. 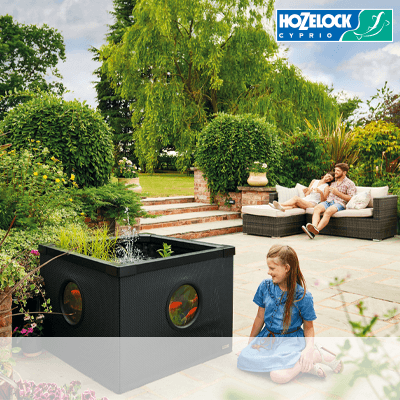 The Hozelock Aquatics range provides complete solutions for all of your pond needs, from fountains to pumps and maintenance equipment. Hozelock garden hoses are robust for everyday use, flexible for easy watering and are anti-kink to ensure the water never stops. 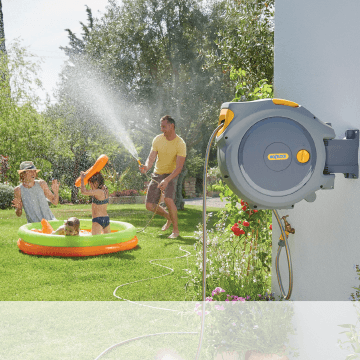 The Hozelock Auto Reel stores your hose neatly and can automatically rewind it when you’ve finished watering your garden. Hozelock Connectors ensure a leak free connection between taps, hose and attachments. Sprinklers are the simplest way to water large areas of your garden. They can water in different shapes including round and rectangle areas. Our new innovative Easy Drip System is easy to adapt, control and extend, letting you water your garden automatically when paired with our intelligent controllers. Hozelock Hose Reels let you store your hose neatly and tidily. They come in various sizes and are available as wall mounted, free standing or wheeled units to cater for all needs.